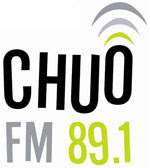 On July 12, 2012, CHUO 89.1 FM (Ottawa) The Train's Denis Rancourt interviewed Professor Dr. Tim Ball, climatologist, about climate science and the politics of global warming. Fascinating history of the climatology profession... Dr. Ball is being sued for defamation in regard to his criticisms of other climate professionals. The lawsuits are on-going and Dr. Ball is committed to getting to the truth and justice. Very informative. 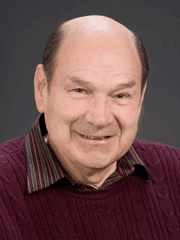 Dr. Ball points out how corrupt the so-called climate science has been. Cherry picked data, statistical fraud to suppress established features of the temperature record, undermining the peer review process and actually damaging editors that dared to publish conflicting views. This isn't science it is totally politicized pseudo-science. I'm not sure what can be done about it in the current climate. I've seen the same kind of thing in my career when government gets involved in science with an agenda. The comments by Tim Ball about the IPCC-supported Catastrophic Anthropogenic Climate Change (CACC) hypothesis are very interesting. They align with my own opinions after spending the past 5 1/2 years finding out all that I could about the issue. I took an interest after reading a March 2007 review in the Sunday Times Magazine of Mark Lynas's CACC propaganda booklet "Six Degrees ... ". It would have been worthwhile Tim explaining what he said that Michael Mann took umbrage over. Denis seems to have thought that Tim was being sued over some criticism that he had made of Mann's scientific approach (51:30 minutes). That is not the case and I remain puzzled as to why Tim did not simply apologise to Mann for making his "flippant comment" (51:40 mins) about Mann belonging in State Penn not in Penn State. It seems to me that a sincere apology would have stopped Mann from pursuing any action so was the commented intended to provoke Mann (known for his short temper?) into taking action in order to force disclosure of otherwise hidden data. Tim's associate John O'Sullivan, CEO and Legal Consultant to the blogging group Principia Scientific International (PSI) was at one time (Jan. 2011) boasting about how his legal team was ready to take legal action against Government agencies over CACC. I would like to hear from Tim whether or not he still considers himself to be not only Chairman but even a member of PSI. Then there is the matter of how involved John O'Sullivan is in Tim's appeal for funds to help him fight the case brought by Michael Mann. More on PSI can be found at Global Political Shenanigans in posts during May-August 2012 (http://globalpoliticalshenanigans.blogspot.co.uk/).